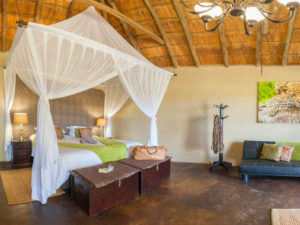 Owner-run Umkumbe offers real affordability at the heart of the Sabi Sand – intimate & charming, it’s family-friendly too. A setting in the exclusive Sabi Sand Private Game Reserve hasn’t prevented Umkumbe Safari Lodge from offering genuine affordability. 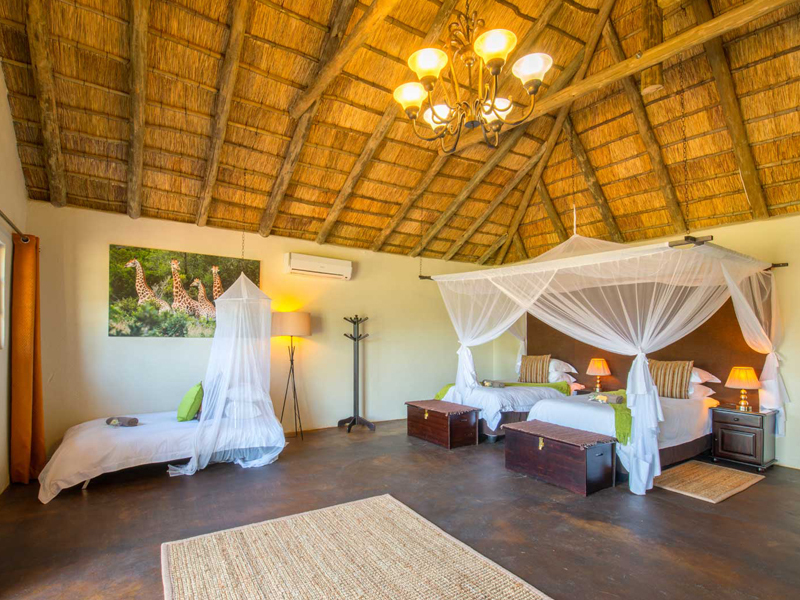 You’ll enjoy all the comforts of a private Sabi lodge but at an amazing value-for-money rate – and all at the heart of Big 5 country. Umkumbe delivers everything you need. Owner-managed, the lodge has a wide range of facilities and its en-suite and air-conditioned chalets overlook sandy river beds or grassy plains where antelope graze. Guests enjoy broader views from the comfort of the camp swimming pool, bar or sun loungers –and there’s even a small gym at camp. Since it only has 10 chalets, Umkumbe retains a friendly, intimate air making it ideal for family and group bookings, and the camp may be booked in its entirety for a perfectly private Sabi Sand safari. 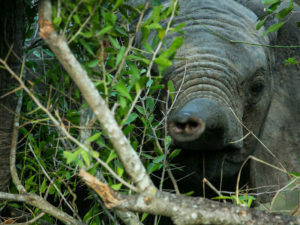 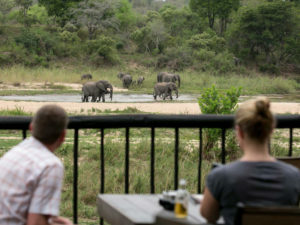 But it is of course the wildlife that takes centre stage at Umkumbe. 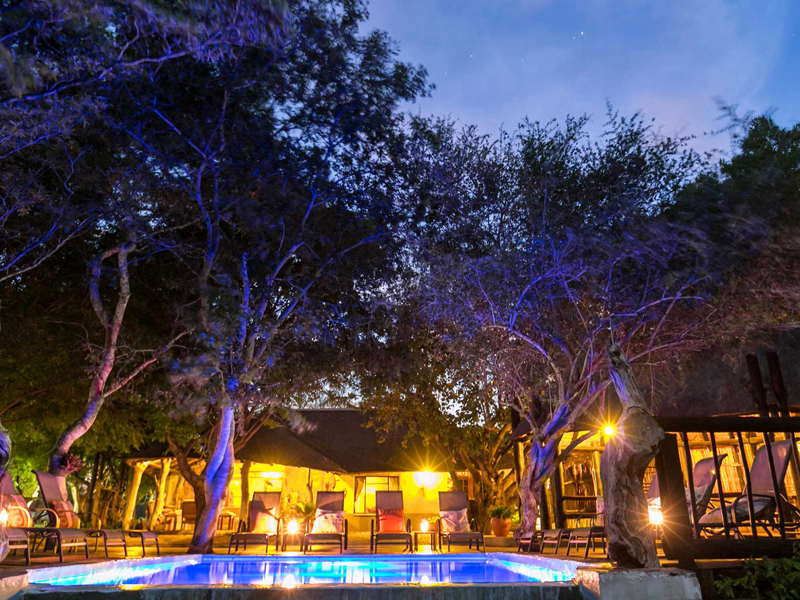 You’ll head out on early morning and late afternoon game drives with eagle-eyed guides in open-sided 4X4s – and on your return from sun-downer drinks, you’ll be treated to a spot-lit night drive. Bird watchers should take advantage of the morning bush walks offered: together with your ranger you’ll spot dozens of species just around camp. Umkumbe offers 10 chalets – six Standard Rooms and four Superior Suites. 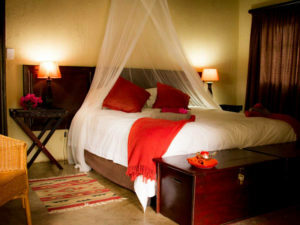 Each is air conditioned and features a large, netted double bed or twins. All chalets have an en suite bathroom (the Superior Suites boasts an additional indoor bath and outdoor shower) as well as a veranda provided with chairs from which to watch animals below. 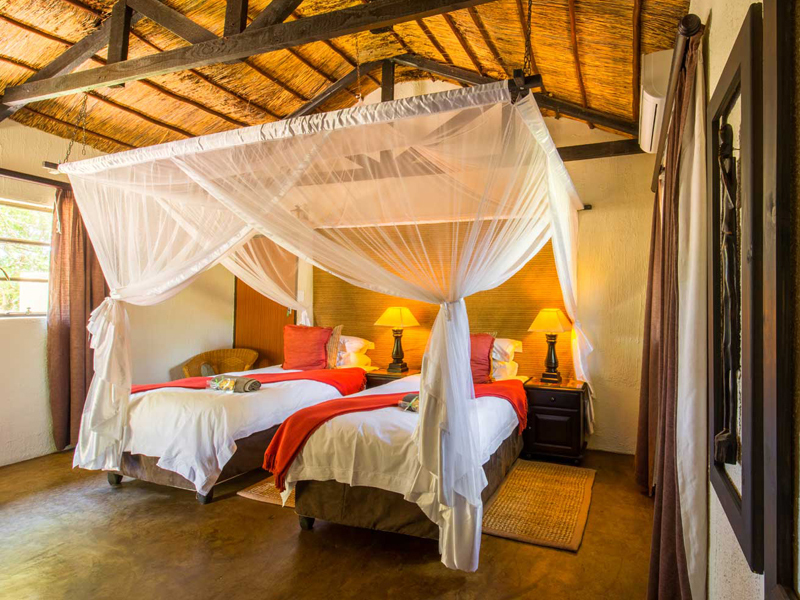 Accommodation is clean and comfortable without being ostentatious; you’ll certainly not want for any more comfort at Umkumbe. 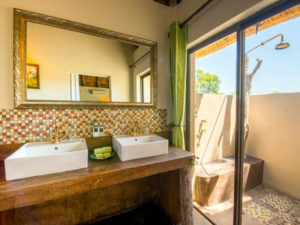 Families with younger children will be happy too: four of the chalets are connected via an inter-leading door, making it easy to keep the family together. The Superior Suites have sleeper couches and can accommodate a third adult or two children. 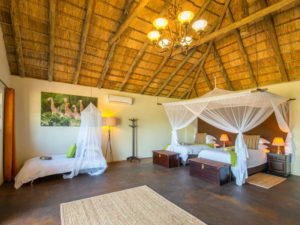 Umkumbe manages to balance affordability with comfort and convenience. 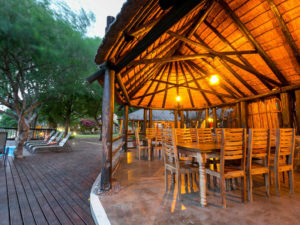 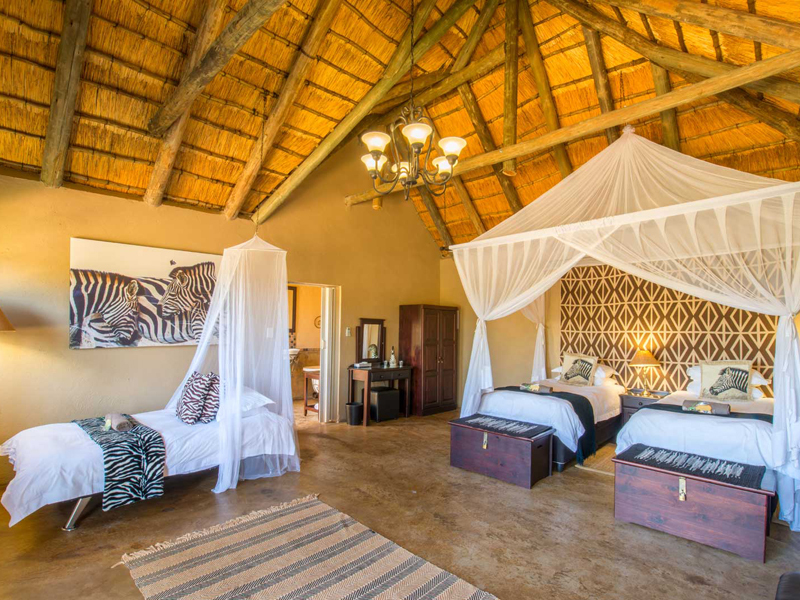 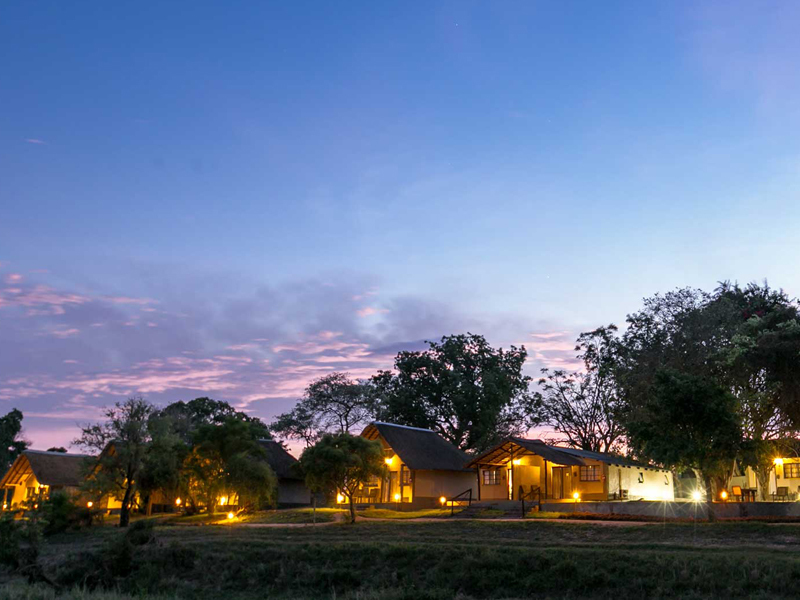 Guests enjoy all the facilities of a more upmarket Sabi lodge at this owner-run accommodation. 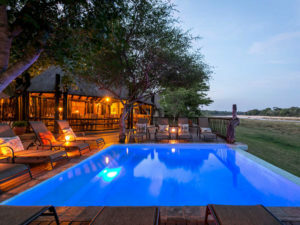 There is a swimming pool surrounded by sun loungers – and the view is of the seasonal Sand River, a magnet to local wildlife. 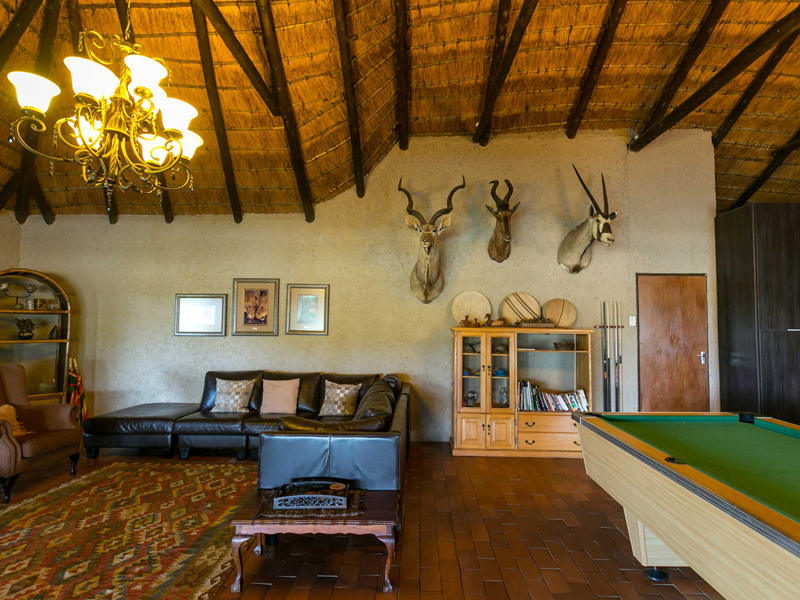 The main lodge features a lounge equipped with comfy couches and even a snooker table. 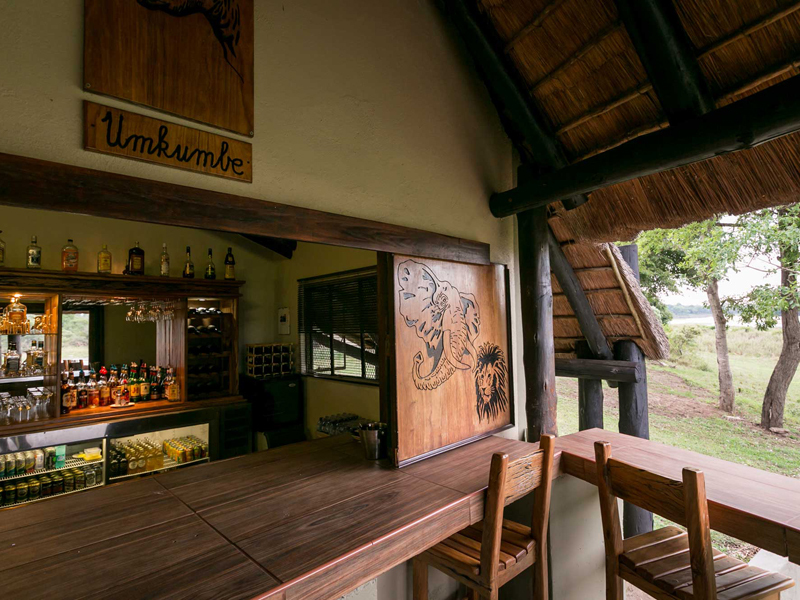 There is an honesty bar, a tea and coffee station and plenty of shady corners in which to enjoy your favourite drink with the view. 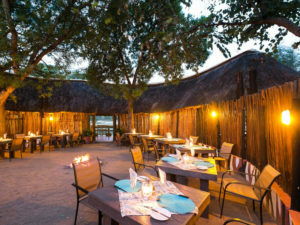 A small gym is available for those who want to work up an appetite: Umkumbe serves delicious fire-cooked meals in the indoor dining room or outdoors in the boma under starlight. A setting on the seasonal Sand River means wildlife is never far from the lodge, whether the river is dry or not. 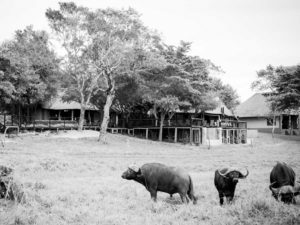 You can put your feet up at camp and watch anything from impalas and warthogs to elephants and buffalos make their way past the lodge. 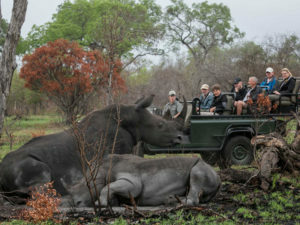 But the real drama lies away from camp and you’ll be enjoying morning and afternoon game drives at Umkumbe. 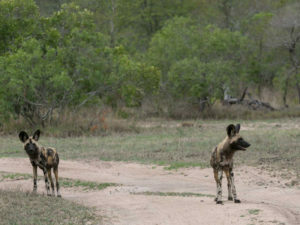 It’s an early start in the morning but it’s worth it: the lodge lies in an area famous for predators. All the big players – lion, leopard, cheetah, spotted hyena and wild dog are present and are most often on the move in the early morning. After brunch you’ll have the chance to feel Africa beneath your feet. Accompanied by your guide, you’ll enjoy a short walk in the Sabi bush – the perfect opportunity to view the often overlooked details: insects, medicinal trees, animal tracks and flowers. 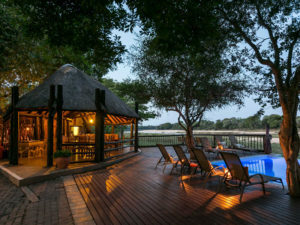 It’s also a great chance for birders to add to their tally; the region is packed with birds regardless of season and the list includes eagles, vultures, colourful rollers and bee-eaters. The afternoon drive ends with chilled drinks and a sunset view. 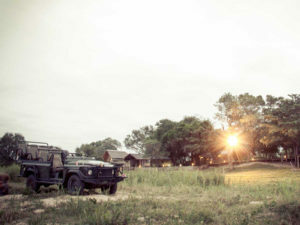 Returning to camp, your guide will use a spotlight to pick out Africa’s seldom-seen nocturnal animals.